Have you enabled your Financial Controller to involve in strategic support, in keeping with the changing times? Is he able to cope with the demand and rise to meet a wider set of expectations? NetSuite delivers improved business results while optimizing financial processes. It eliminates time-consuming, error-prone manual processes and point solutions by automating and streamlining day-to-day accounting and financial operations. This gives Financial Controllers time and mind share to focus on higher competencies like strategy and decision making. With NetSuite, you are able to obtain accurate, real-time data that Controllers can count on to reduce costs, improve efficiencies, and make data-driven decisions to help your company reach its revenue goals. 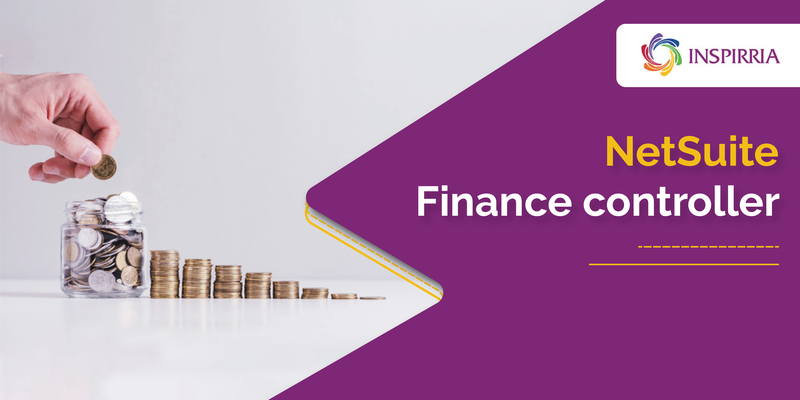 The software indeed transforms the Financial Controller's role, providing real-time strategic visibility and keen insight into finance and operations with financials and data that can be trusted. NetSuite supports multinational, multi-Subsidiary and multi-Currency Operations. Global businesses manage multiple subsidiaries with NetSuite’s built-in support for 190+ currencies, 19 languages and tax reporting in 50+ countries. This helps global companies consolidate financials from various geographical locations. NetSuite for Financial Controller can be used to visualize a range of business scenarios, based on the company's business imperatives. Companies thus gain deeper insights into how decisions can impact business. Conservative companies believe in creating a budget or a forecast based on past results and this has been the norm for several years. But leveraging advanced software like NetSuite, progressive enterprises companies logically analyze what “could” happen in the future and then come up with decisions. NetSuite enables companies to engage in `what-if' analysis and take informed decisions on financial implications. NetSuite provides the much needed functionality of exporting reports with formulas intact, from the system in excel format for accurate analysis of real time data. With such a robust and comprehensive software, changes to business process, as and when needed can be made by the users without seeking the involvement of the IT department. This not only gives business the independence to work on software without IT team’s support but also frees the IT resources to devote time for innovation and excellence rather than engage in mere maintenance of software. From startups to multinationals, over 40,000 organizations use NetSuite globally. Get in touch with our experts for more information.